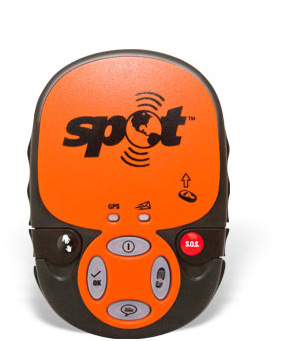 The SPOT Satellite GPS Messenger is one of those rare items that's everything it's cracked up to be. After owning one for just a few months we now would not even consider leaving Chez Hillbilly without it. We have to give a shout to SPOT for delaying for several months the full release of the new GPS Satellite Messenger (an evolution of the popular SPOT One) until they finally had all of the kinks worked out. Though I'm sure that this cost the company a few sales in the short term it'll yield dividends for them down the road. You hear that Magellan? 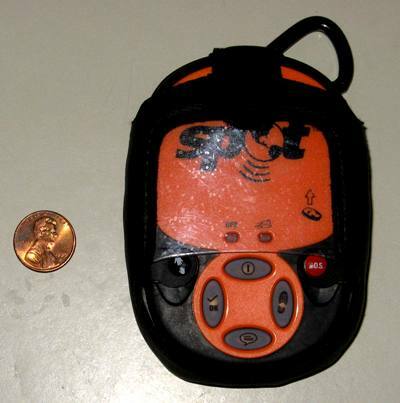 The SPOT Satellite GPS Messenger is small, lightweight and very rugged. The controls are easy to navigate after just a brief perusal of the user manual and the unit is very easy to use even with gloved hands. SPOT needs a clear view of the sky - we clip ours to our Ogio Flight Vest but the unit comes with many attachment options. Life for the three AAA lithium batteries is long - days to months depending on usage - and replacement is easy. In order to activate the SPOT Messenger and to access its features it is necessary to login to findmespot.com, register the unit, then select the level of desired services. The Spot Messenger has up to five communication modes depending on subscription level: Check-In/OK, Custom Message, Ask For Help/Spot Assist and SOS (standard) and Track Progress for an additional fee. We opted for Track Progress, SAR insurance and replacement insurance** for the Messenger itself. While registering the unit one may select up to 10 contacts to receive Check-In, Custom or Ask For Help messages and these contacts may be mixed and matched - a particularly nice feature that allows one to send different messages to different contacts. Pre-programmed messages are uploaded to the SPOT site in advance of your trip and each time you press one of the message buttons your contact receives, via either SMS text, email (or both) the message associated with that function along with a link in Google Maps to your current location. The system is fast and so far we've yet to encounter a single message delay or glitch. Message functions are hierarchical with messages such as SOS (which goes directly to local emergency responders) replacing lower priority messages such as Check In/OK. The Track Progress function is a really nice feature of the SPOT Messenger that allows anyone to track the progress of your entire trip in real time via Google Maps or for you to review later. We feel that it's well worth the additional fee. Price Paid: $129.99 - offroute adventures, plus $189.00 for a year of service including Track Progress, SAR insurance and replacement insurance for the Messenger. We've had an opportunity to test our SPOT. ** Recently, while on a trip to the Mojave Road, my SPOT II was stolen right off a bike (as it turned out, while I watched) during a gas stop in Baker. Thanks to the replacement insurance SPOT had a new unit waiting on my doorstep when I returned. We cannot recommend SPOT and SPOT service highly enough.